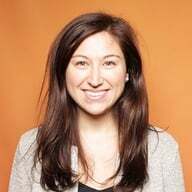 Lara Tacito is a Sr. Design Manager at HubSpot. This post is the third in a series about HubSpot Canvas, our new Design Language. Read the first here and the second here. Every January, millions of people decide that this is the year their lives will be different. You’ll read more books. You’ll put more money into savings. You’ll eat fewer Cool Ranch Doritos and pints of Ben & Jerry’s. And you will gym. Every. Day. But more often than not, as soon as February rolls around, there’s a stack of unread books on your nightstand. Your savings is routinely going to fund your Taco Tuesday habit. And there’s a fine layer of Dorito dust covering your couch. Why? Because good intentions aren’t enough. Unless you make a lifestyle change, even the best-intentioned resolution just won’t stick.